Lori! That is certainly a spread-of-inspiration on this Monday. Love your color choices and the details. Your lettering is magnificent! Love the close up photos and the build up to the end. Hope your week is scrumptiolicously filled with inspiration & chocolate. Love this post Lori.Very imaginative.I love Pan Pastels too.Just started using them!. So cute! 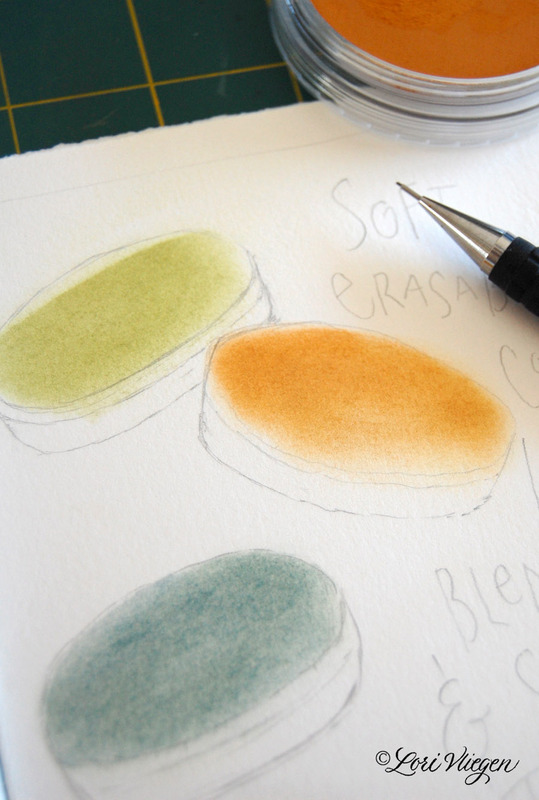 Makes me want to get out my pan pastels! lori - when you use pan pastels in your journal, do you need to fix them afterwards? 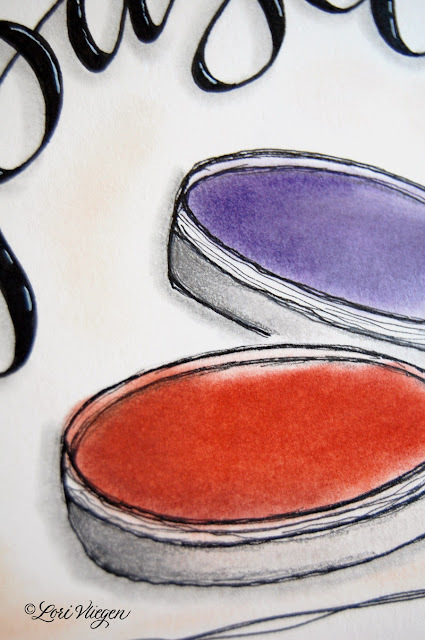 with a spray, or a heat gun, or anything so they won't smudge or smear? lovely page! what i like most is the constancy of your makings, yummy! You have magic! You can take almost anything and make a truly magical page! Have a sunshiney day! 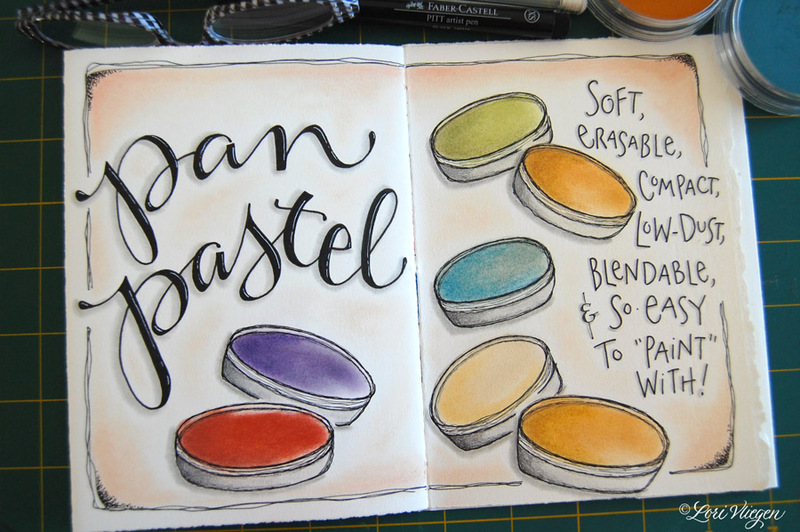 i have not played with pan pastels YET...they are on my wish list!!! Love how your Elvie Journal is coming together! 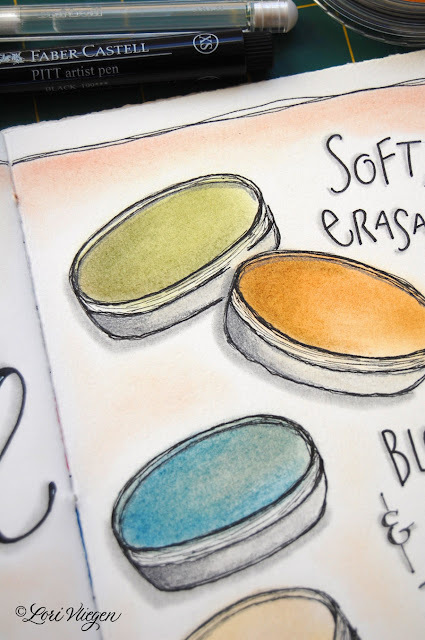 Do you have to spray the pages on which you use pan pastels with some kind of fixative or are they low dust enough that you don't need it? On the days when I have no time to read blogs, I STILL always read yours. So full of inspiration. 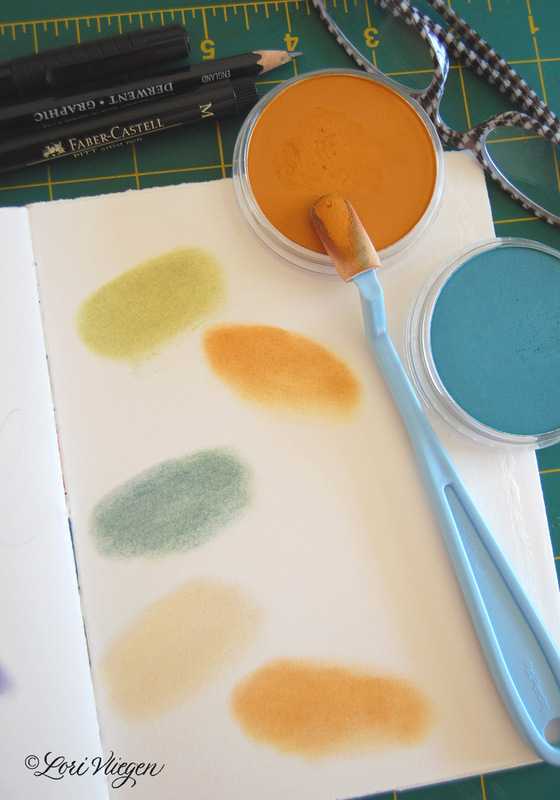 I love pan pastels and your piece is fabulous!! Lovely!!! I am so inspired by all that you do!! 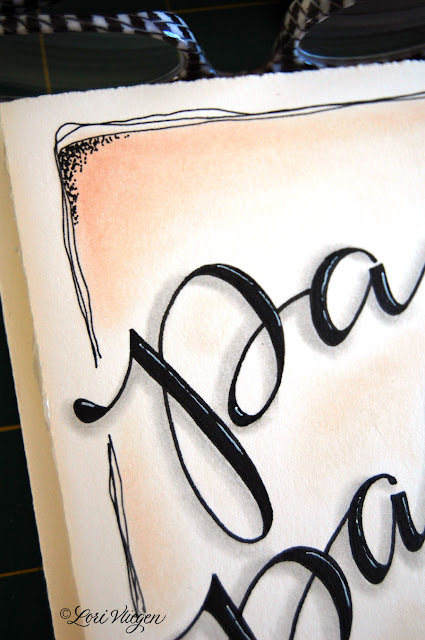 Love seeing the process of the finished pages...Your lettering is amazing as always! Funny page, I love pan pastels. That page is soooo pretty. How do you add those shadows to the letters?